This book is a novella taken from a collection called Legend of a Suicide. To celebrate the upcoming release of a new book by this author, Caribou Island, this novella is distributed for free as an e-book (see below for details on how you can download it yourself). 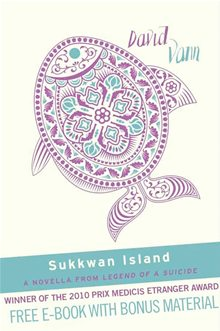 Sukkwan Island recently won France’s prestigious Prix Medicis award for best foreign novel. Roy, a 13-year old boy and his father, Jim, arrive on a small island in Alaska to spend a year away from society. Jim, twice divorced, has bought a shack on Sukkwan island, Roy has brought a year’s worth of schoolbooks, and the plan is to survive mainly form what nature brings. A plane will come by every few months with essentials. Roy doesn’t really know his father very well and is sceptical about their chances in the wilderness. He also doesn’t look forward to having his father as his only company for the next months. After several unfortunate happenings, he starts to doubt the survival skills of his father. He would really rather go back to the outside world. A dramatic event changes the whole atmosphere of the book and the struggle for survival really begins. The book gives a great sense of the location that Roy and Jim are in. 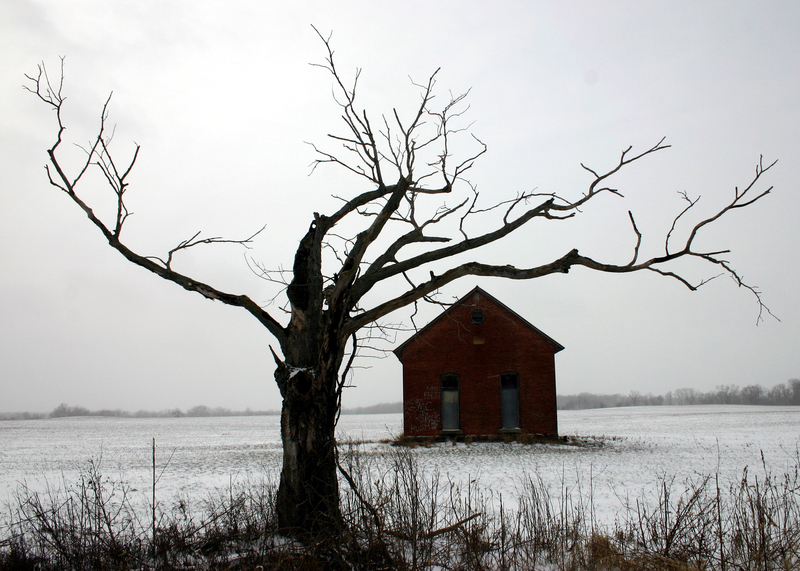 The isolation of the cabin and the omnipresence of nature (trees, animals, weather conditions) are very well described. The writing style and the interaction of father and son reminded me of Cormac McCarthy’s The Road. Desolation and desperation are present in both books but unlike the father and son in The Road, Roy and Jim know there is a society out there that they could return to when the plane (that dropped them there) comes back with new supplies. The dramatic event that happens after some time fitted well in the story but still came very unexpectedly and I needed some time to process it. But meanwhile, the story continued relentlessly. At that point, I took a break from reading (I couldn’t read the book in one sitting because of this), as it became too much. Overall, thought this was a great book. The sense of nature was so strong and and I loved this. The book was very good in depicting human nature: strong people can be weak in some situations (and vice versa) and people’s behaviour cannot always be rationalised. This became especially clear towards the end of the book when other people wanted the full story about the events while at the Sukkwan Island. Definitely a must for anyone who can appreciate good literary fiction. 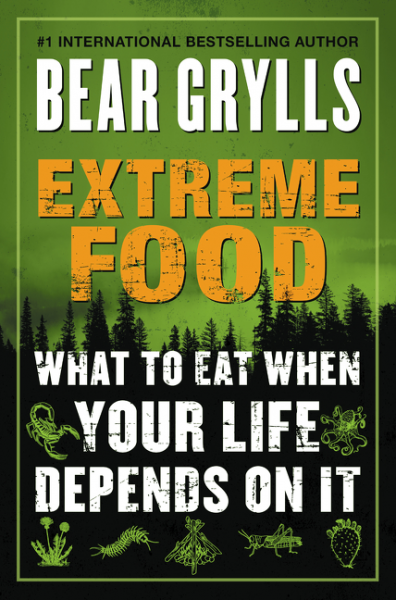 I got this book: as an e-book, downloaded from the Kobo site for free. Reading suggestions: The Alaskan wilderness was also very present in two other books that I read not so long ago: Raven Stole the Moon by Garth Stein and Into the Wild by John Krakauer. It is also available in the iBookstore for Apple products, and is available for the Nook. I got my copy from the Kobo website, where I downloaded an ePub file that I was able to read on my Adobe Digital Editions application on my laptop.